On a recent trip to England, I bought some rather beautiful knee-high suede boots from L.K.Bennett. Upon returning back to L.A., I was eager to show off my new boots in as many outfits as humanly possible. This lead me to wear a whole collection of skirts for pretty much the entire month of January. It was then when I realized my favorite skirt style to wear with my boots: knit skirts. Not only are knit skirts super warm (they keep your legs toasty in the deep throes of winter) but they exude an elegant yet relaxed vibe that makes them versatile enough to wear to work, brunch, or to a fancy dinner. 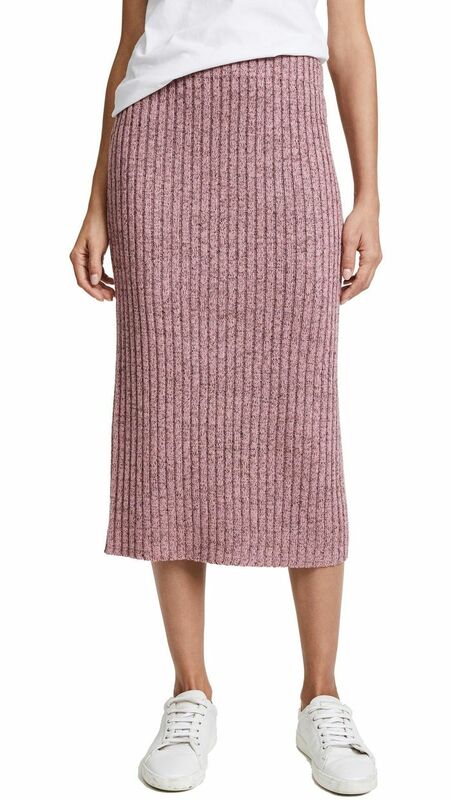 A knit skirt also happens to be the ideal transitional piece that gets you through any confusing climates (hot subways/cold offices). 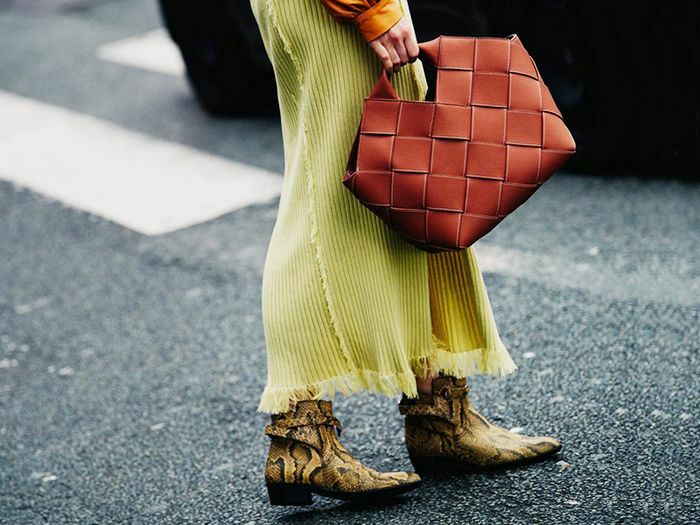 So if you’re looking for a chic way to show off those tall boots or simply want an alternative to jeans, then get your hands on one of the must-have knit skirts below. Metallic threads add sparkle to this dusty rose pencil skirt. This ivory alpaca midi skirt exudes sophistication. Pair it with a matching neutral sweater. Enlarged buttons add a contemporary-chic touch. Add an air of spring to your wardrobe in next season’s must-have lavender color. We love the high slit on this maxi skirt. Banish winter blues with these rainbow stripes. This one is easy to take from work to dinner. Just add white sneakers for a sporty weekend look. You can never go wrong with a luxe cashmere knit piece. Keep yours modern with white boots or mules. Stand out from the crowd in this poppy-red option.